Clopay counter shutters (doors) are ideal for concession areas, cafeterias, pharmacies, cashiers, parts and tool storage areas where resistance to flame spread or smoke penetration is not required. Rolling Counter doors, also called counter shutters, secure openings above counters and other similar finished openings on interior and exterior walls. These doors can also be used for smaller door openings and close to the floor when the more compact door components are required. Clopay's Rolling Counter Fire Doors with Integral Frame and Countertop, also referred to as Labeled Package Units, are assembled and welded at the factory for a seamless, custom-built look. Units may be fitted to pass window openings without field assembly, becoming an important time saver. Sizes: 21' wide, 10' high standard construction. Wind Load: Doors can be designed to meet specific PSF wind Load requirements. Seismic Performance Validation: Specific seismic calculations can be provided for all doors that are mounted Face of Wall or Between Jambs to steel or masonry. Seismic performance validation is per ASCE 7-05. Materials & Finishes: Curtains are availalbe in #18 B&S gauge or extruded .055" aluminum with clear or color anodized finish, 22 gauge galvanized steel in light gray or 22 gauge stainless steel with #4 finish. Powder Coating optional. Mounting: Face of wall or between jambs in both interior and exterior walls. Approved wall types for the mounting of fire doors include masonry or structural steel jambs. Operation: Standard motor, hand crank or push-up designs are available based on size and weight. Lifting the counter door requires no more than 25lbs of force. Concealed tubular motors provide a solution for strict dimensional limitations around the header or aesthetic requirements that lend themsleves to its smaller, compact design. Sizes: 11'7"' wide, 4' 10"' high in walls 4" to 13" thick. Wind Load: Doors can be designed to meet specifc PSF wind Load requirements. Materials & Finishes: Integral welded head and jambs are formed of 16 gauge 300 series #4 finish stainless steel shapes or 16 guage primed steel shapes. Curtain material: aluminum slats are clear or color anodized; galvanized steel in light gray; stainless steel is 300 series in #4 finish. Powder Coating optional on non-stainless components. Operation: Push-up or hand crank. Counter Fire Door Listings: UL 3 HR, 1 1/2 HR, 1 HR and 3/4 HR Classified labels. Counter Fire Doors are listed with the Office of the California State Fire Marshal. 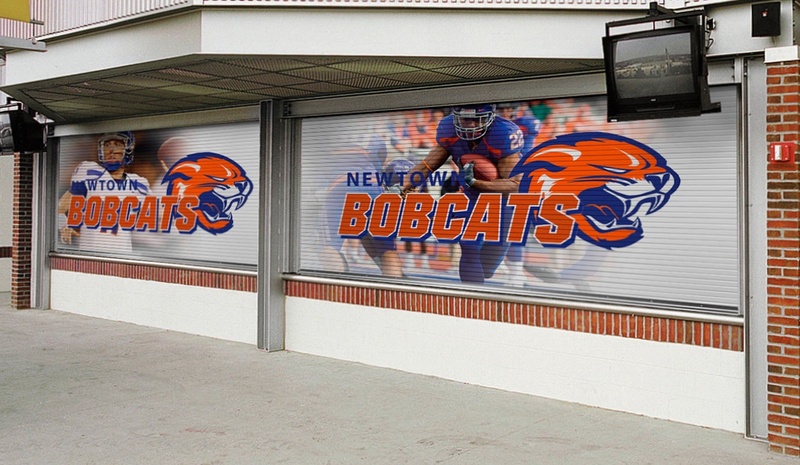 Sizes: Fits openings up to 16' wide when height is 7'6" or less, or openings up to 12' wide when height is 10' or less. Smoke Control Counter Fire Doors: Add optional UL Classified smoke and draft control to counter fire doors. Containing smoke saves lives and building property and also aids in fire containment by slowing oxygen flow to the fire source. This added protection is easy to add to your building and may be required by your local building code. More Smoke Control information here. Material and Finishes: curtains are available in 22 gauge galvanized steel in light gray, powder coating is an available option, or 22 gauge 300 series stainless steel with #4 finish. Galvanized steel endlocks are provided per UL procedure. Additional Material and Finishes information. Counter Fire Door Mounting: Approved wall types for mounting include rated drywall, masonry, or steel walls. Operation: motor, chain or crank operating systems are recommended for ease of testing and controlled automatic closing speed. Click on the Operator Information button at right for a full description of these systems. Push up is available for counter fire doors up to 80 sq. ft. where usage and testing is infrequent. - Plastic laminate countertops - available in a range of standard laminates in a single piece up to 10' wide, and in two pieces with center joint to 16' wide. - 14 gauge, #4 finish stainless steel countertops are custom designed to a maximum wall opening width of 11'2" for face of wall units, 11'10" for between jambs, for a maximum 12" wall thickness. Listings: UL 11/2 HR, 1 HR and 3/4 HR Classified labels. Sizes: Openings up to 10' wide by 4' 9" high in walls 4 1/2" to 12" thick. Smoke Control Gasketing available: UL listed perimeter smoke seals / UL tested vinyl astragal are available for providing protection against smoke infiltration at head, guide frames and sill. Mounting: Approved for mounting to rated drywall or masonry wall construction. Between Jambs Slip-In units are set into finished walls. Between Jambs Built-In units wrap around finished walls; installation is done while wall is being constructed. Operation: Manual push up operation only. Release Devices and Annunciators are available. See fire door page for details. Material and Finishes: Curtains are available in 22 gauge galvanized steel in light gray, powder coating is an option, or #22 gauge 300 series stainless steel with #4 finish. Countertops: Integral 300 series stainless steel with #4 finish countertops are standard. Separate UL labeled plastic laminate countertops available. Or, choose a No-Countertop option for openings with an existing countertop.